When it comes to your children, as a parent your primary concern is making sure they are properly provided for. In addition to getting the love and nurturing they need, financial support is a major consideration. It can make a difference in terms of providing for their day to day needs, as well as in ensuring they have every possible advantage. If you are involved in child support proceedings, the following highlights important items which can be used as evidence in your case. Parents have a legal obligation to provide financial support for their child. Under Florida child support statutes, there are legal guidelines the court uses in determining the amount each parent should have to pay. Factors that may influence these amounts include the amount of time the child spends with each parent, the individual income each party earns, and their earning potential in the event they are unemployed. Receipts for out of pocket costs you have paid, such as for over the counter medicines, glasses, school books and uniforms, or other expenses. You may also show where you personally have incurred additional costs in caring for your child, which may be included in your child support award. These may include having to make modifications to your home, only being able to work part time, or travel expenses for appointments or events out of the area. 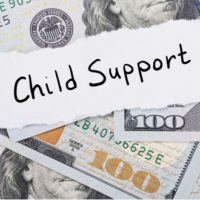 If you already have an existing support order in place but feel it does not include important child related costs and expenses, you may request a child support modification provided your reasons for doing so are significant. This may be the case if you lost your job or the child’s other parent got a major promotion. Items such as benefit statements and letters from your employer may be used to support your claims. Getting the maximum amount your child needs in terms of financial support is vitally important to their success and well being. At the law firm of attorney Vanessa L. Prieto, we provide the professional, caring legal representation you need in these situations. To request a consultation to discuss your options, reach out and contact our Fort Lauderdale child support attorney today.